Two days of maintenance planned for the early hours of the morning. 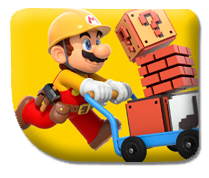 Another round of scheduled maintenance, housekeeping for the Nintendo Network, is set for the beginning of next week. This time Nintendo Switch players are the only players inconvienced, though not for very long. The maintenance to online play and payment to the Nintendo eShop will both arrive early morning UK time, meaning it may disturb the afternoon play of those in the States. Date and time:Tuesday, 26 February 2018 5:50 (GMT) to Monday, 26 February 2018 7:30 (GMT). Date and time: Wednesday, 27 February 2018 1:00 (GMT) to Tuesday, 27 February 2018 3:00 (GMT). Affected services: Using Credit Cards.